Sassy Cheryl's Digi Stamps Challenge Blog: Challenge #119...Birthday Celebration! It was great seeing all the Dad and Grad cards last challenge! Thanks to all of you for playing along. 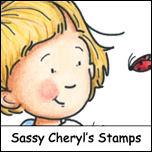 just contact Sassy Cheryl and she'll get those TWO FREE images credited to your account. Congrats Katies, here is her card using Sassy Sally Meets Bella...too cute! I don't know about you, but I'm always needing a birthday card! Nice to have them made ahead and in my stash!! Here's what the amazing DT created for you this week. 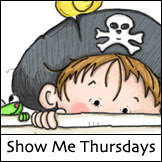 You'll have until, 5 PM EST, Monday, June 18th to get your blog or image linked up to be entered in the TWO FREE image drawing! 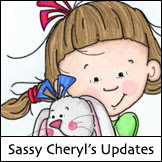 And remember, you are not required to use a Sassy Cheryl's Digi image, but we'd love it if you did. And if you use a SC's image you'll be entered twice in the drawing. That's fair, right? So get busy. . . .we're waiting. Until next week. HUGS! Show us your Birthday card! Can't wait to see. Congratulations Katie. I'll get those images credited to your account this morning. Ladies. You've outdone yourselves once again! Gorgeous cards! Can't wait to see what everyone does this week for the Birthday theme. Happy Tuesday! Oh wow I won!!!!! It was such a cute image that winning with it is just the icing on the cake! I will be playing again, I'm always in need of Birthday cards :)Thanks so, so much!! Ladies your cards are super fantastic this week. Need to find time to leave you all some personal love. The DT's out did themselves. Wonderful works of art. Thanks for letting me play this week. Love the work the DT did. 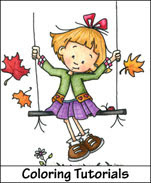 Great coloring love it and the images are so cute, sweet..Thanks for the chance to play along.